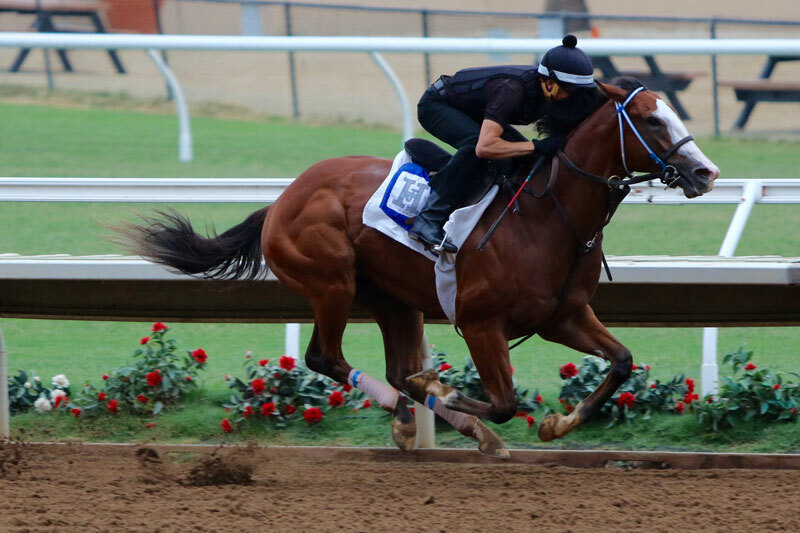 OXO Equine’s Instagrand, who appeared every cent worth his $1.2 million purchase price in breaking his maiden by ten lengths in fast time in late June, figures to be a prohibitive favorite Saturday when he heads a field of five two-year-olds in the grade II $200,000 Best Pal Stakes at Del Mar. Instagrand, a son of Into Mischief trained by Hall of Famer Jerry Hollendorfer, performed as advertised in his career debut at Los Alamitos. Going off at 2-5, the colt won brilliantly, racing five furlongs in a swift :56 flat. The bay colt was bought out of Fasig-Tipton’s Florida sale of two-year-olds in training last March. The Best Pal is the major steppingstone to the Grade I $300,000 Del Mar Futurity on closing day, Labor Day Monday, Sept. 3.